We are pleased that you are interested in coming back to DCC to continue your degree. This application is for DCC students who previously attended DCC as a degree-seeking student. You graduated from DCC and are pursuing a second degree.You were academically dismissed from the college and lost your matriculation status.You were accepted into a degree program at DCC and attended, but since had a break of two or more semesters in your enrollment (excluding summer and winter terms).You were non-academically dismissed from the college and lost your matriculation status. Which term are you applying for re-admission? Do you wish be a full or part-time student? 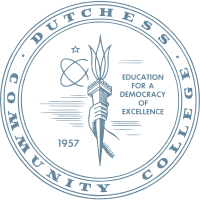 Nursing students must be Dutchess or Putnam County residents to be eligible for matriculation to program. Applicants are accepted into the General Studies Program until they apply and are admitted into the Nursing program (separate Nursing application required). As a Performing Arts major, you are welcome to select an advisement track, if you wish. Have you ever been suspended, dismissed, or expelled from any college or university for disciplinary (non-academic) reasons? Please indicate your military status (if applicable). List prior colleges attended since you last attended DCC. Your official High School Transcript/GED, or College Transcript showing degree completion must be on file. If not, we will request the data as part of the readmission process. My name below verifies that the information I have reported on this application is complete and factually correct. By signing this document I understand that I will be entered under the catalog term for which I enroll. This request supersedes all prior submitted requests.